Temples are considered to be sacred as people throughout history throng there for worship. People have lost count of exactly how many temples have been built since the ancient ages. A large number of them have gone to rack and ruin over time and countless of them have gone out of people’s minds. 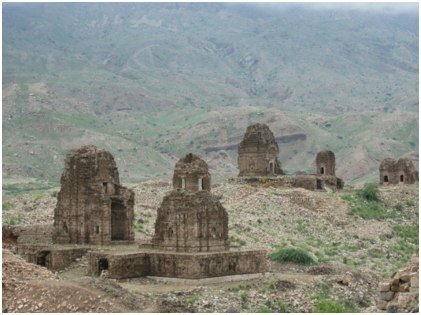 In this article, you will come across a few of the forgotten but breathtakingly beautiful temples around the world. 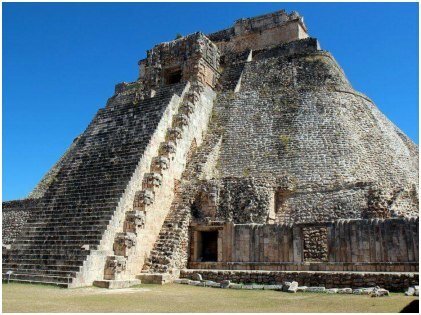 Uxmal, which in English means ‘built thrice’, is a Mayan city in the province of Yucatan in Mexico. The city exists as an archaeological site as of now, and UNESCO declared it as a World Heritage Site in 1996. The Pyramid of the Magician, also known as the House of the Dwarf, is one of the most prominent landmarks of the city. The Pyramid was considered sacred by the people of the Mayan culture because they believed it was built by a dwarf who came out of an egg. The legend says that the dwarf became an adult in the span of a day and erected the pyramid in a single night. The structure is around 115 feet tall and came into existence in the sixth century. This is another Mayan temple that was erected on top of a 7th-century pyramid. The temple got its name from the three tablets found inside. These tablets were probably built back in 692 A.D. The temple stands in Palenque, a town which was abandoned and forgotten until it was discovered back in 1773. The structure has 4 pillars and is 66 feet tall. The Temple of the Inscriptions boasts of one of the most legendary monuments in the history of the Mayan civilization. 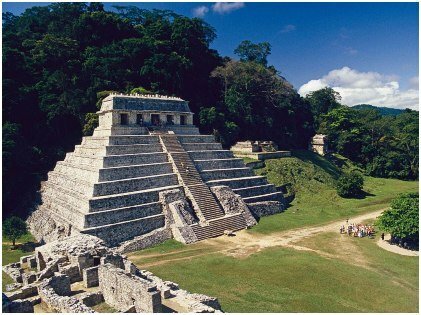 This one stayed far away from the eyes of a common man for a pretty long time and its discovery has unearthed a lot of facts regarding the Mayan culture. The Hindu population has declined in Afghanistan over the years. Within a gap of nine years, the number of Hindu families went down from 20,000 to a meager 500. The Asamai Temple stands in Kabul and is one of the few remaining temples in the country today. The temple derived its name from Koh-i-Asamai or the Asamai Mountain. The Goddess of Hope, Asha, is said to be living at the top of the Asamai Mountain. The fire in the temple is known popularly among the Hindus as Akhand Jyoti or Perpetual Light. The fire is said to be burning for around 4000 years now. 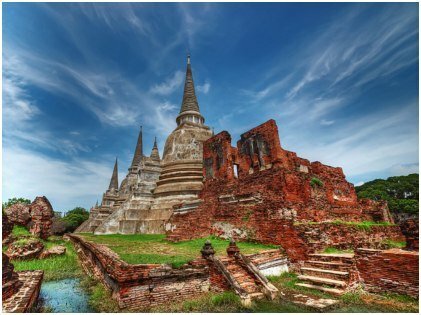 Wat Phra Si Sanphet, also known as Temple of the Buddha Si Sanphet, was probably constructed in the 15th century. The tradition of this temple was a bit different from the others as Buddhist monks were not allowed to stay in it. The temple was primarily used for the conduction of various royal ceremonies and storing of items that belonged to the royal family of Thailand. Two chedis were added to the temple in 1491 by King Ramathibodi II. The chedis were designed to accommodate the remains of his family members. The statue of Buddha was covered in nearly 440 pounds of gold. That alone makes it an opulent temple in itself. 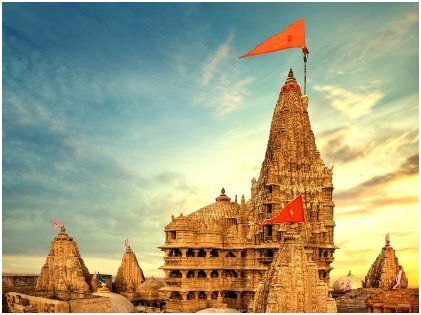 The Dwarkadhish Temple, popularly known as Jagat Mandir, is considered sacred by the Hindus. The temple is dedicated to Lord Krishna and is situated at Dwarka in the Indian state of Gujarat. People worship Him here as Dwarkadhish, which means the king of Dwarka. It is one of the holiest places of the Hindus residing in all corners of the world. The temple is a 5-story building with a 255 feet high temple spire. There are 72 pillars inside, and on the top, there is an 84-feet flag which has the sun and moon depicted on it. The Dwarkadhish Temple is around 2500 years old and has two entrances – Moksha Dwara or the Door to Salvation in the north and Swarga Dwara or the Gate to Heaven in the south. These temples are embodiments of different cultures and traditions from different corners of the globe. The fantastic architecture and the rich history associated with them make people hold them in high esteem. They might be lost in oblivion now, but no one can deny they are breathtakingly beautiful in all respects.